Well-renowned, low-cost & on-time performer airline, IndiGo Airlines based its business on providing lowest possible fare on domestic sectors. The brainchild of Mr. Rakesh Gangwal and Mr. Rahul Bhatia, IndiGo Airlines founded in the year 2006 is the largest airline in India by passengers carried and fleet size. The parent company of IndiGo Airlines, InterGlobe Enterprises has it’s headquarter in Gurugram, Haryana with Indira Gandhi International Airport in Delhi as its operational hub. InterGlobe's domestic airline IndiGo, with its two-tone blue livery and enviable on-time performance has become a familiar, favoured brand. The success of IndiGo attributes to its unique business model which reduces costs. The airline operates a single type of aircraft (Airbus A320) in similar seating configuration simplifying crew training and maintenance. IndiGo - On Time, Low Fares, Courteous, Hassle-Free, Low-Cost Airlines, Online Flight Ticket Bookings India and Abroad, Discount Airfares, Domestic and International Airline Tickets India. IndiGo offers affordable, on-time and hassle-free operation at the best possible fares! IndiGo operates only the Airbus A320 family of aircraft in its fleet. It generally purchases new aircraft. As of 30 September, 2017, Indigo Fleet consists of 141 aircraft including 24 new generation A320neos.The IATA code of IndiGo is 6E. IndiGo currently operates 918 daily flights connecting 48 destinations. Applicable if you are currently serving or retired Armed Forces personnel, Paramilitary Forces personnel or a war widow. For serving or retired Armed Forces and Paramilitary personnel, the offer is also applicable for their spouse and dependent children. Valid photo ID and relevant military (Armed Forces, Paramilitary Forces, ex-serviceman, spouse, dependant or war widow) ID must be presented at check-in. Passengers failing to present valid ID will be denied boarding. Terms and conditions apply. Avail savings on Family Fare when booking for 4 to 9 passengers on the same PNR. Valid on select sectors for domestic flights and not on connection flights. Book tickets for 10 travellers or more with the world's best low-cost airline IndiGo by FareHawker flight Group Booking desk. We offer IndiGo Airlines group fare facility for all travel portal, travel agencies, corporate & tour operator. Our ex-airliner team members are expert in handling small or large segment of Group Bookings. 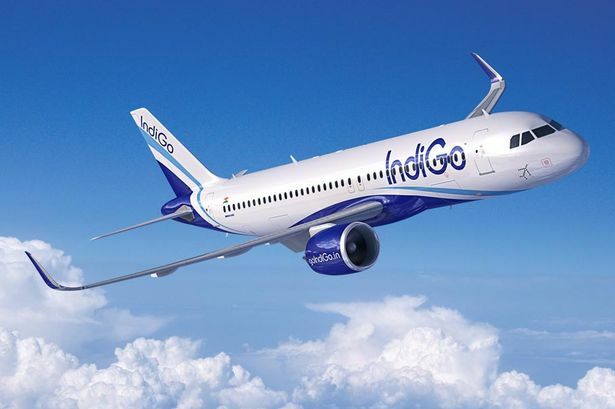 Indigo Airlines Flight Lowest Group Fare - Buy Group flight tickets with Farehawker for booking domestic airlines group tickets on discounted fare. We are the largest consolidator for Group Air tickets in India. How to book Group Tickets in IndiGo Flight? Any traveller, corporate, travel agency or individual can directly mail to FareHawker GroupDesk team by asking for IndiGo Airlines flight group fare. Our group booking expert will get back to you on the same trail within 4 hours. Air ticket booking available at lowest airfare for IndiGo Airlines on-time flights at affordable prices at Farehawker. IndiGo flight online booking - Book IndiGo Airline ticket online at lowest air fare at FareHawker. Get best offer for Indigo Airlines, the low cost airline flying throughout India and abroad. Book IndiGo Airline tickets with Farehawker as we offer the best-in-class fare options for all types of airline bookings. Our dedicated ex-airliner team with their in-depth industry knowledge offers you the cheapest possible fares for domestic as well as international travel. We take pride in our relationship with the airline partners and it is this relationship that allows us to offer you great travel solutions. We are here not only to find the best flights at cheap airfares but also to offer you consolidated travel services so you enjoy a seamless travel experience. Visit IndiGo FAQ for all related queries. Terms and condition of Farehawker and IndiGo apply.